Double Gold Award for Elisabeth with Caris and Bryn! 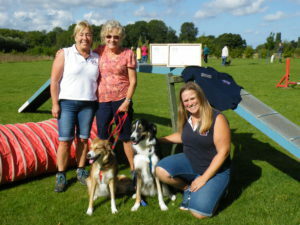 Congratulations to Elisabeth for attaining not one, but two Gold II awards with her dogs Caris and Bryn. To get two dogs to the Gold II standard really is an outstanding achievement. The video clip above shows just how good they are! They are only the 15th and 16th dogs to reach this standard since Enve Canine Services started in 2010. Congratulations! !